Simplus | What is the Salesforce Success Community? 28 Nov What is the Salesforce Success Community? 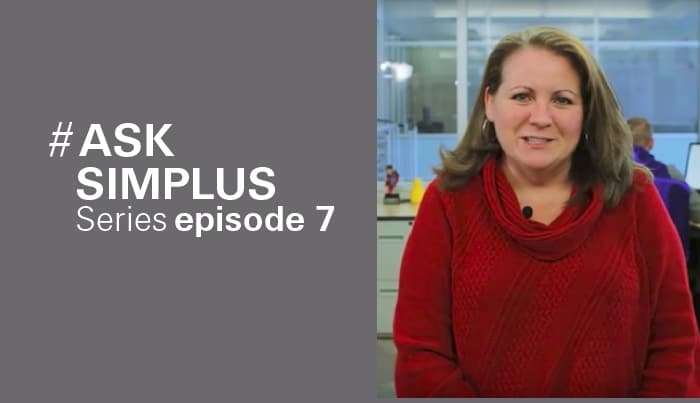 Welcome back to #AskSimplus, where we answer your #Salesforce questions. In episode 07, Salesforce expert and leader of the SLC Women in Technology User Group Kim McClure (@KimJMcClure) helps us understand what the Salesforce Success Community is. We’ll also go into further details of what the Success community can do for you and why you should join today. The Salesforce Success Community can be found at www.success.salesforce.com. Basically, it’s the one-stop shop to learn anything and everything about Salesforce! Let’s take a look at a few of the features. There’s an entire Q&A forum on the Salesforce Community. You can post a question, and you’ll often have multiple people chime in to help find a solution for you. You can find groups of like-minded individuals based on region, level of expertise, type of products, release notes, etc. Within these groups, you can find people to connect with both online and in person and, most importantly, you’ll find a collection of people who are extremely compassionate and always willing to help to make you feel welcome in the community. You’ll also find groups that provide resources for Salesforce certification training. You can practice, study, and learn about the certification requirements all in one place. If you have had all your questions answered for your own instance or org in the other two options, you can begin building up your own thought leadership and post ideas of your own! Users can upvote or downvote your idea, and you can hear from project managers as to whether your ideas are on their roadmap or are under consideration. It’s a great way to gain community support and rally your constituents around your idea to potentially garner a future feature in Salesforce. It doesn’t matter if you wish to actively participate in the discussion of the various community options or just watch from the sidelines. The Salesforce Success Community is so incredibly valuable to novices and experts alike. HAVE YOUR OWN SALESFORCE QUESTION?